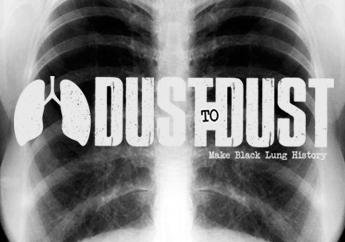 The Queensland Government’s announcement of a new Notifiable Dust Lung Disease Register to officially record cases of occupational dust disease is a welcome step in addressing a growing workplace health crisis, the CFMEU said today. However, a lack of independent medical professionals with expertise in occupational dust disease is preventing authorities from getting a true picture of the extent of the problem, said CFMEU Mining and Energy Queensland President Stephen Smyth. “Company doctors often lack expertise in occupational dust diseases and can be reluctant to diagnose affected workers,” said Mr Smyth. “The unfortunate reality is that when it comes to workers’ health and company doctors, there is a commercial imperative. “Mineworkers need independent doctors for regular respiratory checks. We also need mobile health units to ensure all workers have access to x-ray, spirometry and other assessments. “Establishing a register is a step in the right direction, in terms of recognising the seriousness of occupational dust diseases. “But we can’t keep relying on companies when it comes to the critical matters of dust monitoring and workers’ medical assessments.